A security flaw inside a microchip of the Samsung’s Galaxy S7 smartphones has put millions of devices at risk of being spied by the hackers, say security researchers. Initially, Samsung phones were thought to be safe from a security vulnerability known as Meltdown, which was found to be present in most of the PCs, smartphones, and other devices. The security team from Austria’s Graz Technical University will present their findings at the Black Hat security conference in Las Vegas on Thursday. 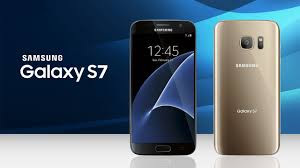 The researchers told Reuters that they have found a way out to exploit the Meltdown vulnerability to attack the so-called immune Galaxy S7 smartphones. However, Samsung spokesperson released a statement: "Samsung takes security very seriously and our products and services are designed with security as a priority. Since being notified by Google, we've promptly rolled out security updates to address the issues in January 2018 and released software updates including additional patches in May 2018 to further protect devices at the chipset level." "We recommend that all customers keep their devices updated with the latest software to ensure their device is protected at an optimal level," the statement read. One of the security researchers, Michael Schwarz believe that there could be many more other devices that are vulnerable to the Meltdown vulnerability. “There are potentially even more phones affected that we don’t know about yet. There are potentially hundreds of millions of phones out there that are affected by Meltdown and may not be patched because the vendors themselves do not know,” said one of the researchers, Michael Schwarz.